unstad 4/3 Wetsuit (M) is rated 4.2 out of 5 by 5. The unstad 4/3 wet suit is made for surfing in cold water. The wetsuit offers the perfect combination of functional details, optimal moving range and high-end sustainable neoprene materials. The piece consists of several materials to ensure the right thickness on different places and to provide stretch and maximum movement where it’s most needed. 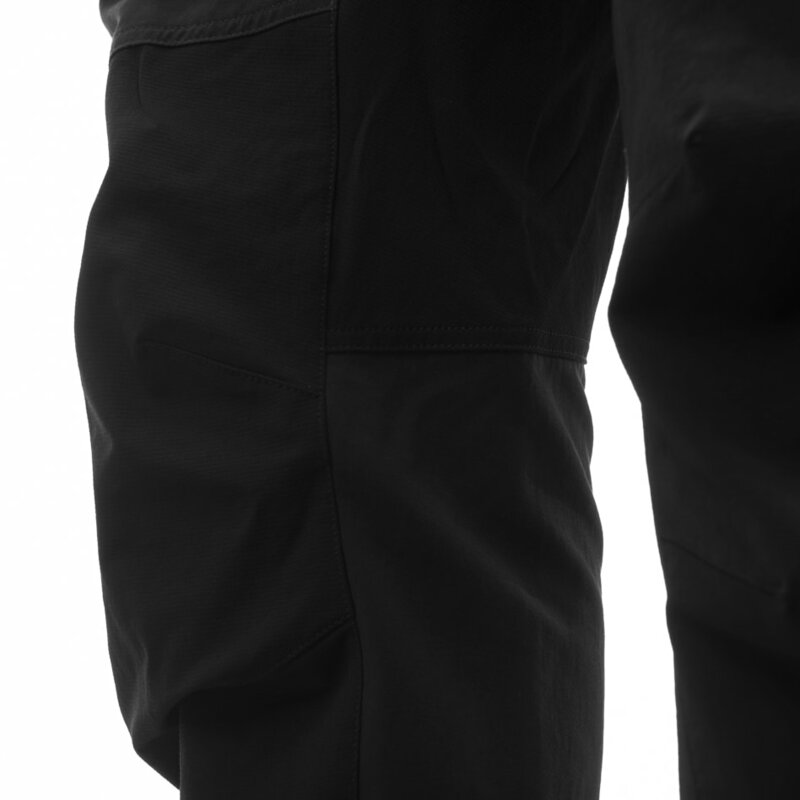 Developed from the properties offered by a powder skirt, the suit has small shields on the shoulders to prevent the cold water from flooding inside the suit too quickly. Liquid seams on the outside and taped on the inside, increase the water resistance thus making it warmer. 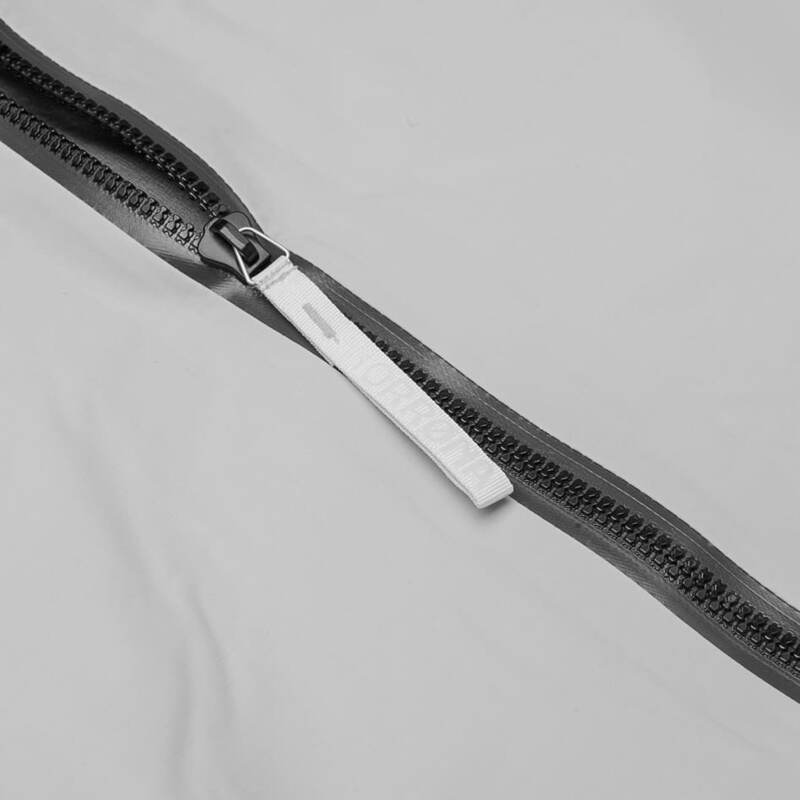 The chest entry uses a YKK AquaSeal, waterproof and air tight zipper from Japan. Tatex printing on wrists and ankles to reduce water leakage in, with gaps to allow water to flow out. Our wet suits are made from a less environmental impactful naturaprene, natural rubber foam, harvested from rubber trees in Asia where the neoprene is also produced. The naturaprene is laminated to recycled Polyester on the face and back with water based glue that is solvent free, except for the reinforcement areas that require virgin materials to provide enhanced durability. Rated 5 out of 5 by Boro from Veldig fleksibel og varm Kjøpte denne i Mai 2018, og har brukt den ca 40-50 dager i vannet siden da. Veldig fornøyd med drakten. Den var litt trang å få på seg de 5 første gangene, mye sikkert på grunn av jeg valgte str L når jeg egentlig burde valgt str XL når jeg er 196 cm høy. Men med litt trening kommer jeg fint inn og ut av drakten uten hjelp. Når drakten er på er den veldig fleksibel(spesielt rundt skuldrene) og veldig varm til å være en 4/3 mm drakt. Ser ingen tegn til slitasje på drakten enda så er meget fornøyd med den. Drakten blir i hovedsak brukt til kiting. Rated 3 out of 5 by Pop77 from Not stretchy enough and rubs badly under the armpits. This suit is warm enough as advertised but it doesn’t have enough stretch compared to market leading brands for wetsuit at this price. I found that the suit rubbed really badly under the armpits and I would need to apply a thick layer of Vaseline if I was going to wear it again. Rated 4 out of 5 by Jasaiz from Good first attempt at a wetsuit This would have been five stars, but I gave it a four for the following reasons. Norrona just does straight sizes....S, M, L etc. Most wetsuit companies have in-between sizes like medium short or Medium tall etc. I am usually a medium short. I bought the medium at the Stockholm store while on vacation. The fit around the body is 90% perfect. That 10% that is not is in the shoulder, under arm area. Most surfers tend to have a broader shoulder base then most, and I think Norrona took the sizing to the same body type they do for their ski wear which is narrow. As a result there is a small tightness under the arm pits. If they altered the design to account for broader shoulders that surfers have it would be a better fit. The length is longer since it is a medium and not a medium short, but it is not too much of an issue, and it allows for plenty of freedom of movement when you stretch out to paddle or jump up on the board. I have work this for a few session in San Francisco. The water temp is 52 F and the air 54F. I was completely warm and comfortable, and the material that they use for the suit itself seems to repeal water and quickly dries. The suit itself allows for plenty of freedom of movement and does not restrict or feel heavy like some 4/3 mm suits can. One small critique and this is more of a quality assurance issue is that material they use to put the logo on cracks really easy and will crack and fade off the suit fairly quickly. They may want to think of using a different method of putting their logo on the suit to make it last longer. Overall this is an outstanding first try for their suit, and I hope they continue to refine it and carry it year after year. Rated 4 out of 5 by mathieuparisot from Super comfy and warm I bought this wetsuit some 1 month ago and I was waiting for cold times to try it on. I'm pretty satisfied with it. It feels great on me although I usually wear MS size for wetsuits from most brands. Somewhat hard to put it on but I have been amazed how easy it was to put it out, I assume it stems from the fabric inside that slips easier when dry. I am 5 feet 4 inches with a 33 inch waist and medium build. What size should I be looking at for this wetsuit. I usually get a medium short in other wetsuit brands. Hi Jeremiah! Sorry for late reply. I think the Small will be the best fit, but it will probebly feel a bit thight, A medium will have a bit long arms and legs. .
Hi Turo Trek! Sorry for late answer, this one slipped. Yes the suites should be sutable for river canyoning. THey are warm compared to thir thickness. They have knitted polyester fabric all over both inside and outside. Reinforced knees. Good protection on the closure around the neck, durable seams. The naturapreen we use is sustainable made from rubber trees, it is warmer than normal neopreen but sligthly less stretchy. Hello, could you tell me please what water temperature the Unstad 4/3 wetsuit is rated down to? I am wondering if it will be suitable for the Scottish winter. Will a version for women be available as well? Or is arctic surfing just for men? !